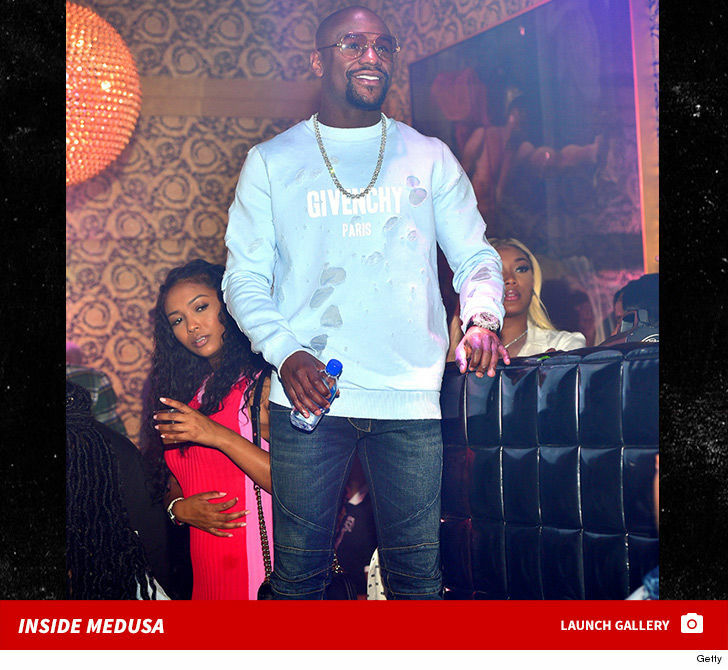 Floyd Mayweather didn't appear to have a care in the world in the hours before someone opened fire on his entourage ... partying in an ATL nightclub. The boxer was the special VIP host at Medusa nightclub on Sunday night -- where he partied with a ton of people, including rapper YFN Lucci. Sources in the club tell us Floyd had a great time there and didn't appear to have any drama with anyone -- let alone an issue that would spark a shooting. But on the way back to the hotel, someone shot at a caravan of SUVs, injuring one of Floyd's bodyguards. It's unclear if Floyd was the intended target.